Realm of Horror - News and Blog: Arrow Video - July Releases! Once prosecuted in its native Germany for “glorifying violence”, Jörg Buttgereit’s follow-up to his ground-breaking Nekromantik is just as shocking as its reputation would suggest. But it’s also a profoundly moving (if decidedly twisted) love story, and a thought provoking meditation on the nature of life and death. Award-winning filmmaker Kiyoshi Kurosawa delivered one of the finest entries in the "J-Horror" cycle of films with this moody and spiritually terrifying film that delivers existential dread along with its frights. Setting his story in the burgeoning internet and social media scene in Japan, Kurosawa's dark and apocalyptic film foretells how technology will only serve to isolate us as it grows more important to our lives. A group of young people in Tokyo begin to experience strange phenomena involving missing co-workers and friends, technological breakdown, and a mysterious website which asks the compelling question, "Do you want to meet a ghost?" 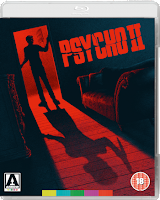 After the unexpected suicides of several friends, three strangers set out to explore a city which is growing emptier by the day, and to solve the mystery of what lies within a forbidden room in an abandoned construction site, mysteriously sealed shut with red packing tape. 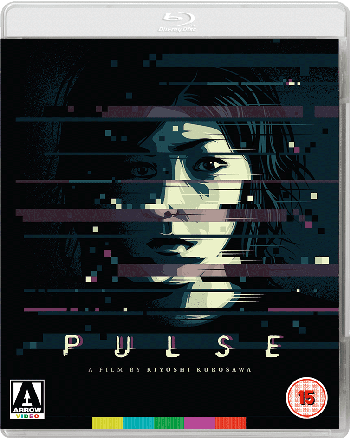 Featuring haunting cinematography by Junichiro Hayashi (Ring, Dark Water), a dark and unsettling tone which lingers long after the movie is over, and an ahead-of-its-time story which anticipates 21st century disconnection and social media malaise, Pulse is one of the greatest and most terrifying achievements in modern Japanese horror, and a dark mirror for our contemporary digital world. Illustrated collectors booklet featuring new writing on the film by critic Chuck Stephens. 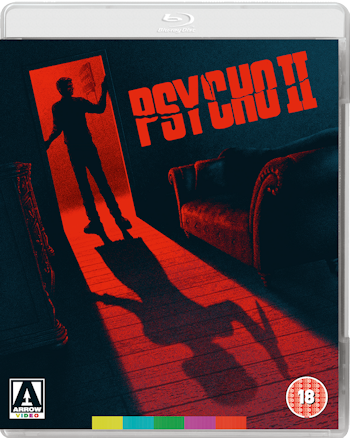 Just when you thought it was safe to step back in the shower, Norman Bates returns in this expertly crafted sequel to Alfred Hitchcock’s acclaimed horror classic. Deemed fit to return to society more than two decades years after his original crimes, Norman Bates has returned to his family mansion and adjacent motel. Joined by an unlikely house guest in the form of young Mary (Meg Tilly), things seem to be looking up for Norman – until the grisly murders start up afresh. Has Norman really put his terrible past behind him, or is he losing his grip on sanity all over again? First published in 1977 at the height of the punk era, UK Sci-Fi comic 2000AD was violent, anti-authoritarian, darkly funny and distinctly British. With such iconic characters as Strontium Dog, Nemesis and Judge Dredd, it became the anarchic underdog that forever changed the face of the international comics industry. 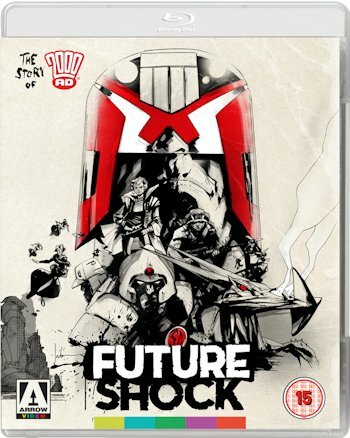 Offering a comprehensive overview of the comic’s history, Future Shock! takes a funny, moving and passionate look at the various highs and lows of how a band of talented eccentrics came together to create a visionary and extraordinary publication that still remains a game-changer more than 40 years later. 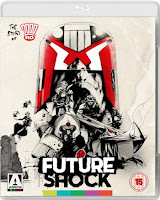 Featuring interviews with the likes of Pat Mills (ABC Warriors, Slaine), Dave Gibbons (Watchmen), Neil Gaiman (The Sandman), Karl Urban (Dredd) and Alex Garland (Ex Machina), Future Shock! is the definitive story of the most successful comic in the galaxy - now loaded with over six hours of previously unseen extras. Reversible sleeve featuring original and newly commissioned artwork by Jock.